For those who want to hit the road like Evliya Çelebi and make friends as they travel, 2011 looks like it will a year of opportunity. UNESCO declared this year the “Year of Evliya Çelebi” and thus throughout Turkey, there will be events to remind people what this means. Some of these events are exhibitions, while others are seminars. 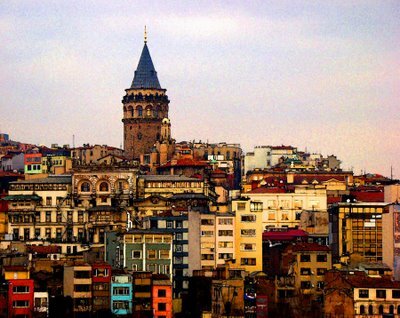 One of the most important of all are the cultural tours labeled “Istanbul on the Trail of Evliya Çelebi,” established by the Istanbul City Culture and Tourism Directorate. These tours, coordinated by city historian Süleyman Faruk Göncüoğlu, aim to guide people through the city of Istanbul as if they were being accompanied by the Ottoman travel writer himself, Evliya Çelebi. In short, these tours will see people walking down the very roads traversed by Çelebi and of course described in his famous travel journals. This is not the only project planned by the Istanbul City Culture and Tourism Directorate in relation to Evliya Çelebi. The directorate is also involved in producing special Evliya Çelebi guides for those who would like to either join the tour or do some exploring on their own.